The Peoples Democratic party has declared that it is taking note of the situation in the ongoing governorship election in Ekiti State. Prof. Kolapo Olusola Eleka is contesting on the party’s platform. Using a hashtag #EkitiDecides2018, PDP took to its Twitter handle on Saturday, alleging harassment, intimidation and violent attacks on its members and supporters by thugs hired by the opposition in the state, All Progressives Congress. 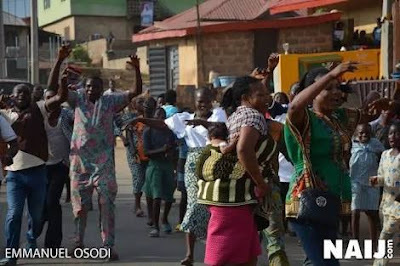 It accused APC of desperation to hijack governance in Ekiti State through terrorisation, snatching of ballot boxes and ferocious assault on Ekiti people. #EkitiDecides2018: The entire world has witnessed the desperation of the @APCNigeria to hijack the reign of governance in Ekiti State through terrorization, snatching of ballot boxes and ferocious assault on Ekiti people, who turned out peacefully to cast their votes.